On the 31st March, the day before April Fools day, the GLA held a public consultation on the planning application for Convoy's Wharf development. Johnson had replaced the elected local council as the planning authority, with himself as it seems that he is entitled to do. He now has 5 days to decide. It took him less time that 5 days, but I give the last word to Crosswhatfields? who record the decision in the light of the growing consensus that this sort of development is not what London nor its communities need. Well, there's no turning back now. As Mayor of Lewisham Steve Bullock said at the hearing at City Hall on Monday at which Boris approved the Convoys Wharf outline planning application, "if we get it wrong now, we won't have the opportunity again in our lifetime". 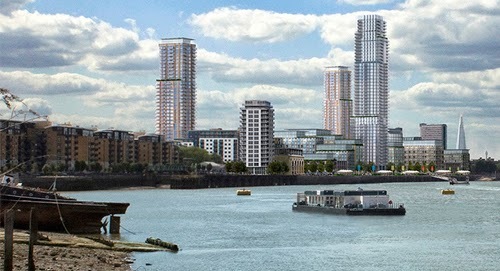 Boris Johnson approves £1bn Deptford Convoys Wharf plans 3:40pm Tuesday 1st April 2014 in News By Sarah Trotter An artist's impression of Convoys Wharf The Mayor of London has given the green light to a £1bn high-rise riverside development in Deptford which will create 3,500 new homes. News shopper catches the decision and comments from Joan Ruddock MP. Frankly, I still want to see the Mayor's decision in writing! 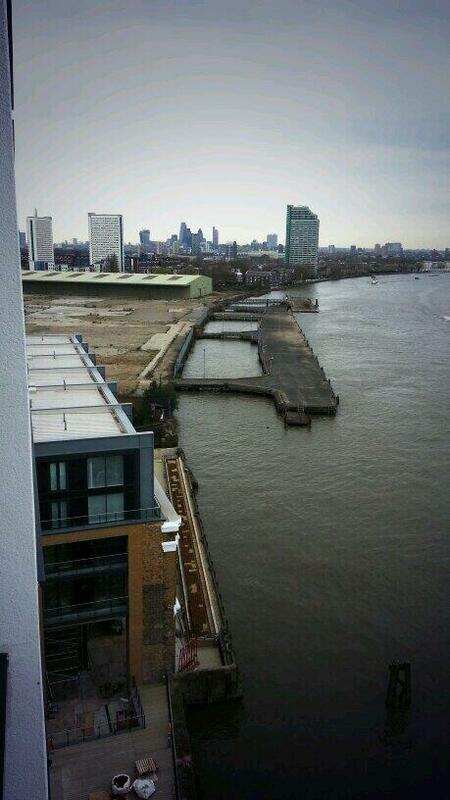 @bridges_tom So why has #convoyswharf been approved by Mayor today? 500 years of royal naval dockyard to be built on, Farrells project! New Cross Labour Party have published Joan Ruddock's submission on Convoys Wharf planning application for consideration by the Mayor of London on their web site. 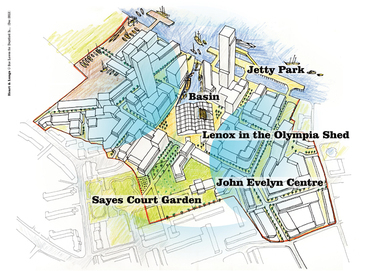 Joan argues for better planning and support for the Sayes Garden project and the project to rebuild the Lenox, the flagship of the Restoration Navy. You may be aware of plans for a large development up at Convoys Wharf in the north of Lewisham. Dame Joan Ruddock MP is continuing to push Boris Johnson for the best deal for local people. You can find out more about her campaigning The Mayor's consultation is ongoing. Email The Mayor of London is 'keen' to hear your views about Convoys Wharf! graham.clements@london.gov.uk before 20 March 2014. Quote the application reference DC/13/83358 and include your name and address. If you have previously written an objection to Lewisham Council, there is no need to write again to the Mayor of London. When the Mayor takes over an application for his own determination he must hold a public hearing before he decides whether or not to grant planning permission. This story was assembled over the week commencing 31 March when the hearing took place through to the 3rd when I found the GLA press release.